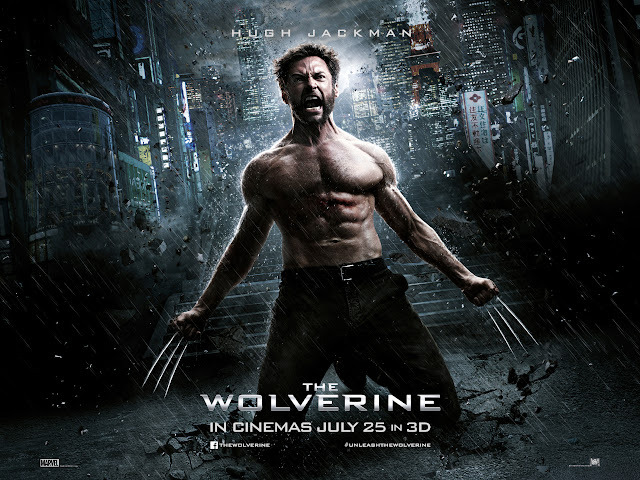 Many of my colleagues loved The Wolverine, you can read Ben Mortimer's 5 Star review of The Wolverine over here! Sadly I did not. Wolverine is one of the most intriguing, if not fascinating characters in the Marvel Universe. Unfortunately in the comics he has never quite lived up to the promise of an ageless feral warrior that is near indestructible and is at his best when surrounded by many other personalities to bounce off. Sadly Hugh Jackman's latest outing as Logan in James Mangold's The Wolverine doesn't quite live up to the promise either. As a long time reader of The Wolverine comics I have always felt that the idea of a small ferocious anti hero that always walks his own path and overcomes the much larger odds with no no fear - backed with an unbreakable skeleton and claws is an exciting prospect. Add to this his mysterious past and you have fanboy delight. However, unlike other similar characters, like, lets say the Batman for instance, whose psyche is explored in many alternative timeline stories or Otherworld tales allows us an adult glimpse into who he is whilst not damaging the continuity of the comics universe he lives in. 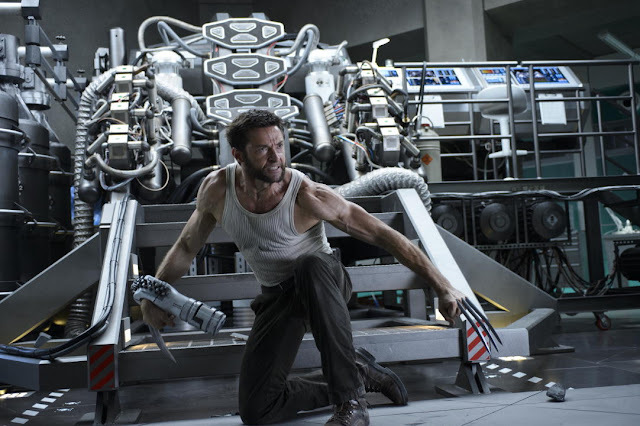 Wolverine has rarely received similar treatment and is either not treated seriously, or, almost always carefully kept in safe territory to ensure his longevity as a commercial property for a younger audience - and this is certainly something James Mangold's The Wolverine suffers from. Visually there are some stunning set pieces like the WW2 establishing shots set just outside Nagasaki where we witness the dropping of the atomic bomb and the events that set off the story of The Wolverine - it's compelling viewing. 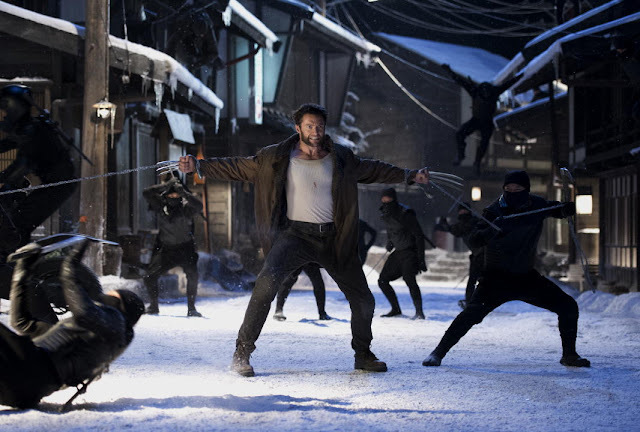 Another stand out scene for me was a fight set in a snowy Japanese village - which is beautifully shot (as is the entire film) and has some iconic imagery that will is entwined with the Wolverine mythos moving forward. If judged on visuals alone The Wolverine would be a decent enough film. Pretty soon it becomes apparent that The Wolverine is very much a film of two tones, the first a more serious tone which in all fairness shows much promise, as like in the comics, we find Logan an outcast living in the backwoods of the Yukon. 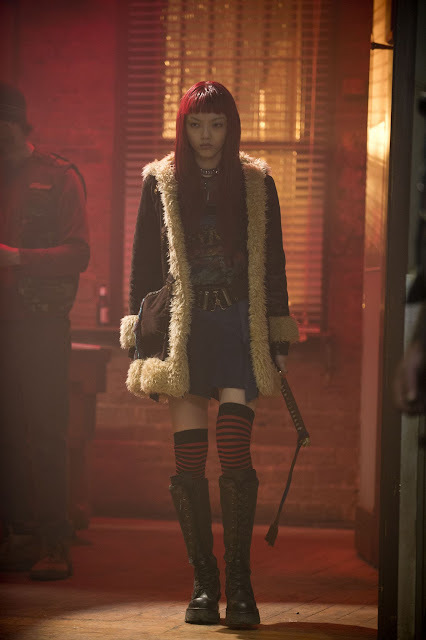 But the storyline is transposed to modern day and after the events of the prior X-Men films. Logan is at a low point and haunted by the loss of everyone and everything that he cares about. This Logan very quickly becomes the archetypal driven Hollywood western hero as he makes his way to Japan at the request of an old friend on his deathbed, this all plays to Hugh Jackman's strengths and it seems that we are in for a good time. Unfortunately the second tone is based around high action set pieces devoid of any emotion or weight as The Wolverine seems to be trying (possibly unintentionally) to emulate the two dimensions of comic panelling too faithfully and adding nothing beyond what the comics show. Resulting in poor character development - case in point are the villains who are as dire as their names would indicate -Viper and Silver Samurai - no attempt is made to try make these characters fit into the real world in any way, resulting in little relationship between their character identities and their villainous personas, ultimately grounding The Wolverine very much in the world of kids Saturday morning TV cartoon. Secondarily to this The Wolverine suffers from awkward pacing, it seems they are aiming for the same fast Avengers Assembled style "suspend disbelief pace" which may work for a film with countless engaging parts that you have some history with - but with a story that introduces a hand full of characters you aren't given any real substance it's a real stretch. I suspect too much ground is attempted to be covered too quickly, if they had only slowed the pace and allowed the characters some development or contemplation it may have added weight to the facade making The Wolverine a different film altogether. Casualties of the to fast pacing pile up like The Wolverine's body count including key plot elements like - Logan losing his powers making him more human and susceptible to death, a great concept, sadly this isn't really explored in anyway at all, in fact apart from being mentioned a few times you would never guess that this is the case. 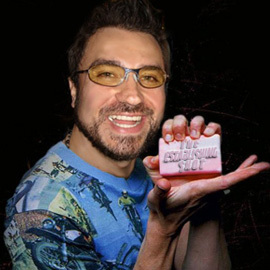 To add further frustration and as nice as it is that The Wolverine dovetails into the current film universe I can't help but think that this is a huge missed opportunity to delve into who Logan is and how his Japanese experience shaped him into the man he is both emotionally and physically. Take the kids as they will love this supercharged Saturday morning cartoon.